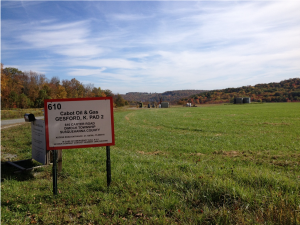 We’ve all heard about fracking, and some of us may even claim to understand it. Politicians on both ends of the spectrum certainly do, with some touting the oil and gas drilling technology as the savior of the U.S. energy industry and others decrying it as the harbinger of doom for the planet. 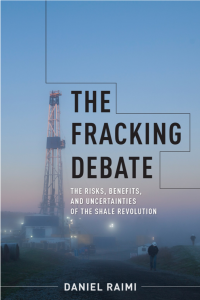 Duke alumnus Daniel Raimi, in his new book The Fracking Debate: The Risks, Benefits, and Uncertainties of the Shale Revolution, hopes to show people the gray area that lies in between. Image credit to Daniel Raimi. At a talk last week co-sponsored by the Duke Energy Initiative and the Nicholas Institute for Environmental Policy Solutions, Raimi shared some of the insights he gained in traveling the country to investigate the community-level impact of the shale revolution in the U.S. Raimi, a Durham native and 2012 graduate of the Sanford School of Public Policy, first made sure to explain that “fracking” and “the shale revolution” aren’t actually interchangeable terms. 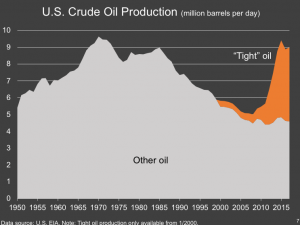 U.S crude oil production from 1950 to 2015. Image credit to Daniel Raimi. and crude oil production to explode — reaching an all-time high of 10 million barrels per day in the last few months. With this in mind, Raimi began his investigative journey in Marcellus Shale, Pennsylvania, a place he’d read was booming with thousands of new wells and where he expected to encounter trucks, oil rigs and an influx of eager workers from other states reminiscent of the California Gold Rush. Instead, he found rolling green hills and untouched corn fields. The township of Dimock, Pennsylvania. Image credit to Daniel Raimi. Even more puzzling was his later discovery that residents of a local township, Dimock, were pining for drilling to return after the Pennsylvania Department for Environmental Protection discovered contamination of the town’s water supply by stray gas leaking from underground wells and promptly banned any shale drilling within a nine-mile radius of the site. Balmorhea State Park in Texas. Image credit to Daniel Raimi. 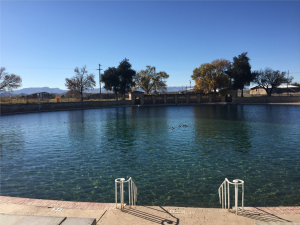 in the pristine Balmorhea State Park, despite a company’s claim of having discovered an untapped oil reserve in the area. In his last anecdote, Raimi highlighted perhaps the most contentious point in the shale debate: its ramifications for global climate change. In Barrow, Alaska, the northernmost city in the U.S. (300 miles north of Arctic Circle, to be exact), he spoke to local government officials who described million-dollar plans for protective measures against accelerating coastal erosion. 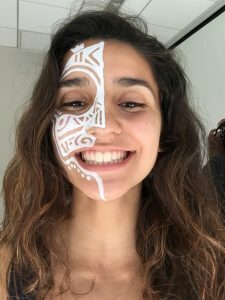 This community also depends on increasingly scarce permafrost to keep cold the whale meat they subsist on for most of the year. Nevertheless, they also yearned for a greater presence of the oil industry.